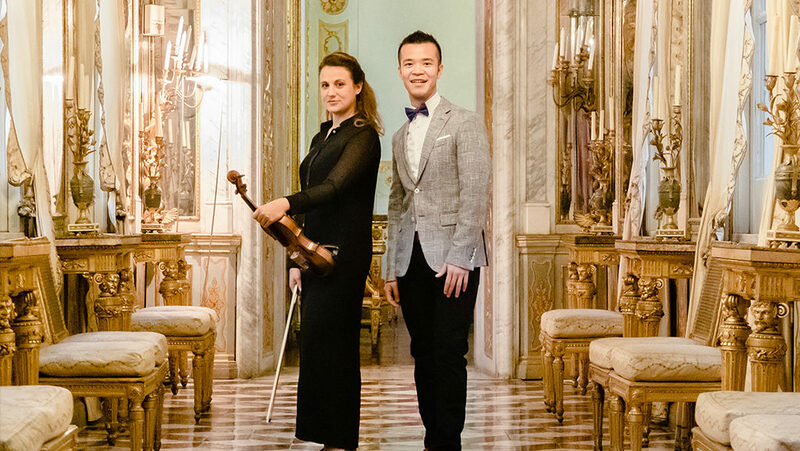 Paola and Albert started their chamber music career in January 2012, playing together as duo during their last year of Masters Degree at the Royal Academy of Music in London. As they met, their elegant interpretation and musical ideas allowed them to explore different sonorities and styles. In their early years, the Duo took part in many chamber music workshops and masterclasses with well-known international musicians. More recently, Paola and Albert engaged in a long term-project, exporting an Italian-inspired repertoire. The first concert was in Hong Kong in February 2017, in collaboration with the Italian Cultural Institute and the General Consulate of Italy. Many other concerts have followed across Europe that year, starting in Genoa, Italy. The performance was described as a “great success” on an online review by Gli amici del Carlo Felice and the Duo were asked to come back the following year. In 2018, Paola and Albert were invited to play twice at Le Moulin des Arts in Entrecasteaux, Provence, and the events were acclaimed by the newspaper Var-Matin. Subsequently, the Duo performed at the Senftöpfchen Theater in Cologne, where they inaugurated a new classical music series. In the summer, they engaged in three new concerts in London at the Studio Sienko Gallery, St Stephen Walbrook and Charlton House. That year, the duo also performed at the chamber season of Palazzo Spinola in Genoa, Italy, organised by the Giovine Orchestra Genovese. This year they continue to collaborate with cultural centres and museums in the UK, such as the Foundling Museum. Albert is based in Cologne and in 2018 was elected Young Steinway Artist by Steinway & Sons in Germany, while Paola is based in London, UK, where she is the Violin Lead teacher at the Royal Academy of Music, Junior Academy FSE.